Xavier Goodridge has nailed a wine that has beautiful flavour, delicacy and drinkability. Maybe the future of SB in Australia. 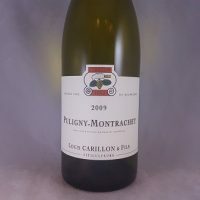 During a stint running a wine bar in London Xavier Goodridge travelled to Beaujolais. And fell in love with the romanticism. 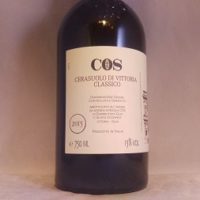 With his path set he studied Viticulture , he took a job at Bress and started making his own wine. After experimenting with soils and sites he has decided Deans Marsh, near Geelong is the place that suits what he wants. 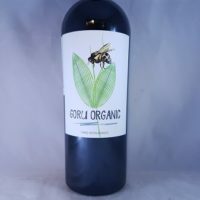 Which is to raise healthy (organic) grapes and then allow them to express their varietal characteristics and the sites they represent. That means as little interference as possible. 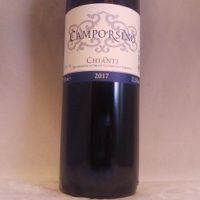 While you could call it an orange/nature wine, I think its best to think of this as a delicious white with a bit more colour than normal. I’ve tried it twice and I love it. It is subtle but satisfyingly so. Floral, melons, earth and savoury notes. The weight is generous and blends seamlessly with the structure. It is moreish and therefore a bottle can disappear rather quickly. Definitely a drink now style, I would pair it with something like Pont l’eveque. 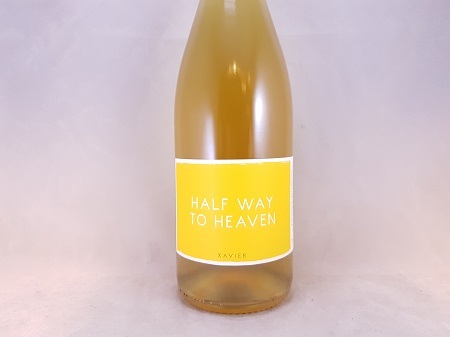 Halfway to Heaven is 100% Chardonnay from Anakie, in the Geelong region. Chard ferments and lives in old wood. There is a minimal sulphur addition at bottling. Within the GI of Geelong there is some distinctly different climates, diverse soil profiles and strong personalities. And it helps that there are quite a few producers making interesting and exciting wines here. 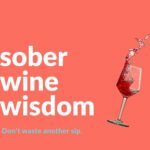 Chardonnay, Pinot Noir and Shiraz all excel but in the right site there are plenty of other varieties that can do well. 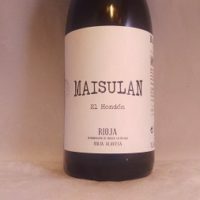 The grape that you can plant anywhere, in any climate and do anything to and it will still taste like an OK wine. 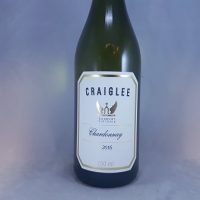 When people hit the sweet spot of site, climate, cropping and winemaking, Chardonnay becomes a magical wine that will age gracefully but charm you at any age. 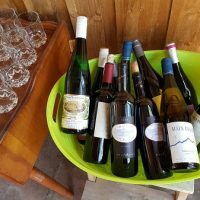 Chardonnays can range from cool climate lean and citrusy to warmer climate tropical and overt. Oak and lees can add flavouring as can malolactic fermentation. 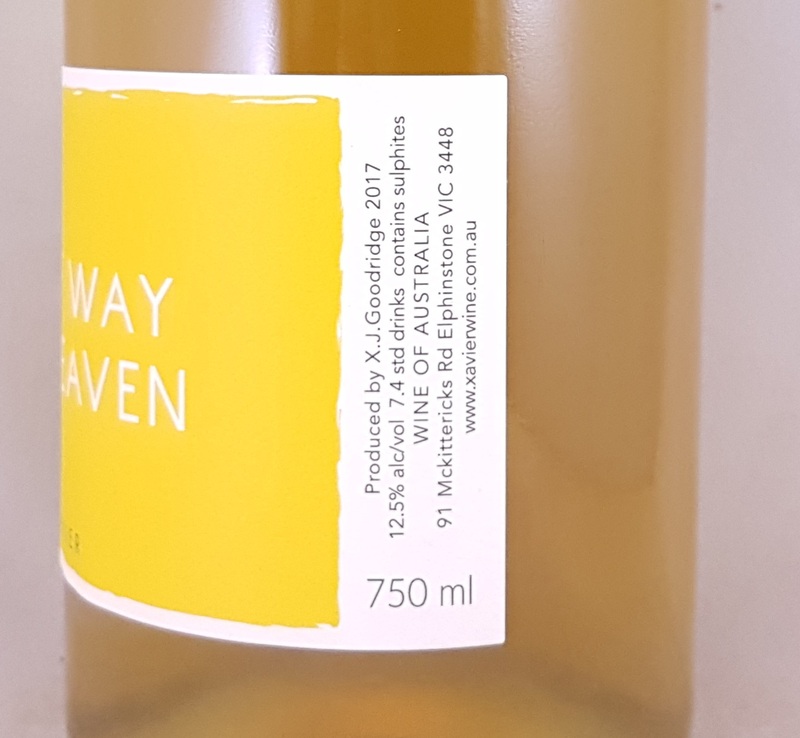 Be the first to review “Xavier Goodridge Halfway to Heaven Chardonnay Geelong 2018” Click here to cancel reply.